I know nothing about this Party or its policies. Sean Maloney later joined the Labour Party and then Fine Gael. 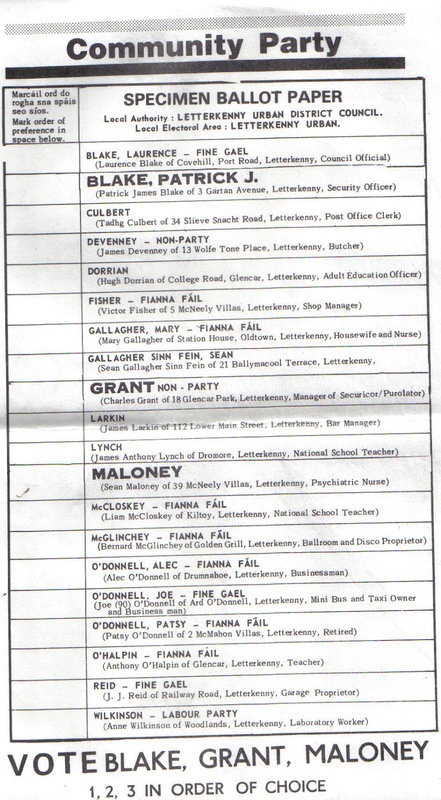 Letterkenny has another small party these days represented on the council “The Letterkenny Residents Party” which I have no literature for but would love to get some. I gather they may be a break away from The Socialist Party.